While I did enjoy the swoon-worthy romance of Huntley Fitzpatrick's debut novel, My Life Next Door, I thought the serious aspect of the book was a bit rushed. We revisit the Garrets and Tim Mason in the companion novel, The Boy Most Likely To, which I thought had a nice balance of real issues and romance. Then the unexpected consequences of Tim’s wild days come back to shock him. He finds himself in a situation that isn’t all it appears to be, that he never could have predicted . . . but maybe should have. And Alice is caught in the middle. Review: While readers met Alice Garrett and Tim Mason in My Life Next Door, it is not essential to read that book in order to enjoy The Boy Most Likely To which stands quite well on its own. 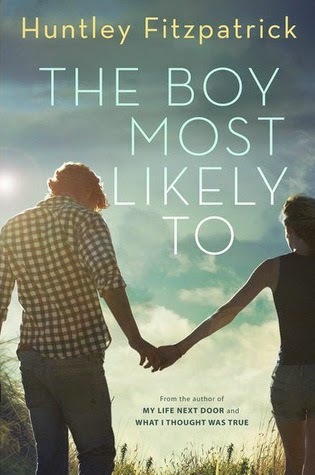 The Boy Most Likely To has a much mature and serious tone than its breezy companion. Fitpatrick does a good job in discussing the serious issues without being didactic and letting her characters sort out their own problems. Unlike her debut novel, The Boy Most Likely To is told in dual narratives. Tim struggles with staying sober. He attends Alcoholics Anonymous meetings and has been kicked out of his privileged house. Despite his carefree nature, Tim knows he needs to change and has essentially hit rock bottom. A rude awakening forces him to "man up" and take responsibility of his actions. Unlike Tim, Alice has always been serious and never given the luxury of being a blithe teen. She has taken the responsibility to be the substitute parent while her father recovers from his horrible accident in the hospital and help out her yet again pregnant mother. Alice tries her best to keep things under control but secretly she suffers from panic attacks and worries about her family's future along with her own visions of being a nurse. As always it is a delight to see the Garrett family in action. I thoroughly enjoyed getting to know Tim and Alice. I originally thought the couple was a bit strange, but I do see how these two opposite characters would attract one another. Their romance is a nice slow burn, but where the book truly shines is Tim's incredible character growth. While I never believed the big revelation he received was true (I'm being vague on purpose to avoid spoilers), I really appreciated how Tim approached the issue and worked through it instead of just giving up entirely. The Boy Most Likely To is about changing yourself into becoming a better person, moving beyond what people expect you to be. This book and Tim's journey will speak to anyone who has ever had to make a hard decision. I didn't realize how much more serious in tone this one was than the previous books, but I love the sound of it Rummanah! I feel for Tim and Alice already. Lovely review my friend! I still haven't read anything by this author even though I have been meaning to. 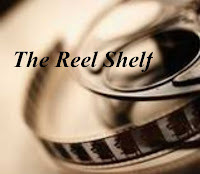 Sounds like this one tackles some tough topics worth reading. I'm glad this has a nice balance to it. I loved her other book so I really need to get a copy of this one too. Oh this sounds like something I would enjoy. I do like character growth and I also like the sound of the slow romance. I was thinking about this one but I think you got me off the fence with this review. I would have loved to read from Jase's perspective in My Life Next Door! Aah well, I guess I'll have to settle for Tim, who I thought seemed interesting. I haven't read this one yet, but I'm curious to see how Tim and Alice get together given that she's older than him if I remember correctly.